Place the yoghurt, vanilla and honey in a blender and blend on low speed until combined. Pour 1½ cups of the yoghurt mixture into a jug and set aside. Place the strawberries and the extra honey in the blender with the remaining yoghurt mixture and blend until smooth. 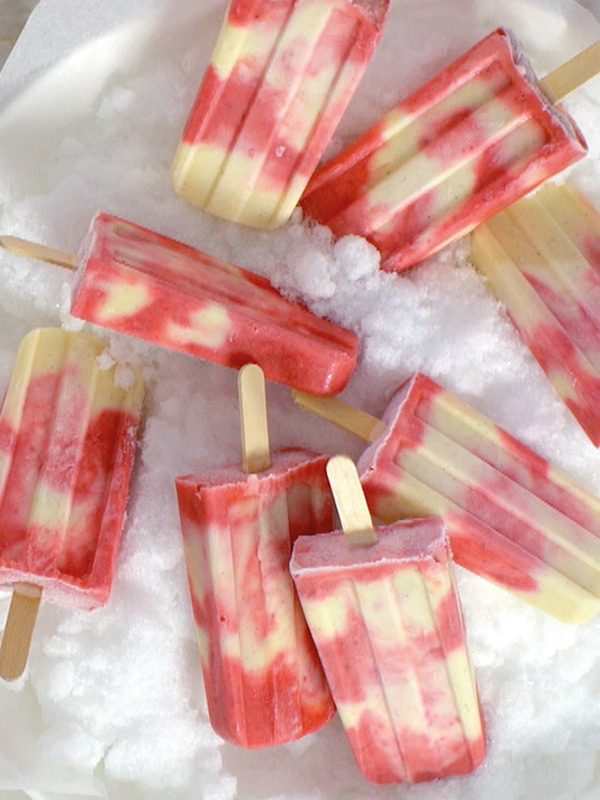 Pour alternate layers of the yoghurt and strawberry mixtures into 10 x ⅓-cup-capacity (80ml) popsicle moulds. Swirl gently using a butter knife, insert popsicle sticks and freeze for 4–5 hours or until firm. Remove the popsicles from the moulds to serve. Makes 10. Note: Our brand-new donna hay popsicle moulds will be available to purchase from the donna hay general store from December 2016.